4 Warriors Hydro ExcavatingCompany NewsHydro Excavating BlogHow Can You Locate Old Gas Lines Safely? How Can You Locate Old Gas Lines Safely? Gas lines are hazardous to work around, even when you know precisely where they are. But in many parts of the country, gas lines were initially laid out when there wasn’t a standardized method of marking subsurface utilities and improvements to a property. There also wasn’t a standardized method of storing that information or giving the details to the local governments of the area. Unfortunately, these older neighborhoods and industrial areas are also the most likely to have complications during any new construction project. The parts wear out. The pipes decay or rot after decades of submersion. They’re also buried at different depths depending on the habits of the original builders and the area’s erosion. So the first step to making your project site safer is to locate old gas lines as soon as possible. How can experts help you find them? There’s a complicated, unorganized mess of pipes and connections beneath your worksite, even if you’re not in an urban area. Power and telecommunication lines generally run closest to the surface. Then water is a bit further down. Gas may be a couple layers deeper. That presents a massive problem for mechanical modes of excavation: the tools might eventually reach the gas line. But even if it doesn’t break that particular part of the system, it will have carved through everything in between. But hydrovac services can work around preexisting infrastructure that shouldn’t be damaged. The pressure level for water or air that displaces the surrounding dirt doesn’t just come in one setting. It can be turned on high to cut initial scouting lines in the soil that are parallel to the utilities’ course. Then the pressure can be fine-tuned to unearth the lines without damaging them. 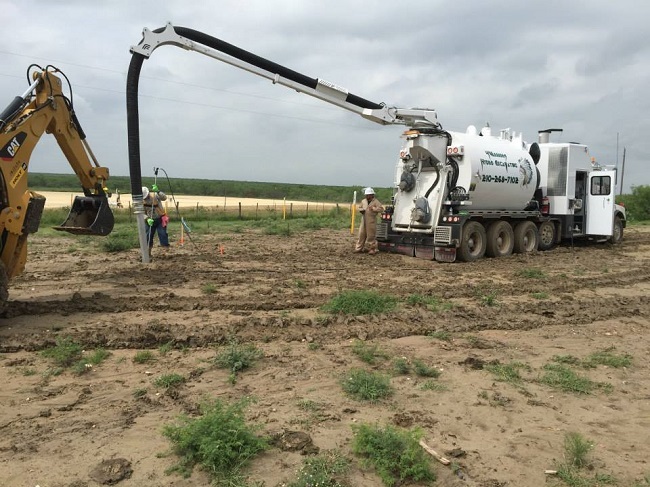 Armed with the right tools and the knowledge of likely layouts in your area, a local hydrovac service is the best way to locate old lines without slowing down construction. Go to 4 Warriors Hydro Excavating to get started.